The origins of our firm date back to 1975, when our founder’s father, Professor Anthony Adeyemi Adeogun, a Barrister of Lincoln’s Inn, the Supreme Court of Nigeria and Professor emeritus of Commercial and Industrial Law at the Faculty of Law, University of Lagos Nigeria, established a law practice, under the name Anthony A Adeogun and Company. Following a successful legal career which spanned over 35 years, Anthony Adeogun distinguished himself as an accomplished international labour and commercial law expert, serving the Nigerian Nation, sovereign states and international organizations in different capacities. He was a member of the Judicial Commission of Inquiry into trade union activities in Nigeria; the Industrial Arbitration panel; and the Consultative Assembly on the Reform of Company Law in Nigeria whose work resulted in the promulgation of The Companies and Allied Matters Act No. 1 of 1990. In 1991, he was appointed by the International Labour Organisation of the United Nations (ILO) and the Government of Sierra Leone as an expert to review and reform of Labour Laws of Sierra Leone. Following the collapse of the apartheid regime in South Africa 1994, he was appointed by the International Labour Organization of the United Nations (ILO) and the Government of South Africa to advice on the reform of the Labour Laws of South Africa. His inaugural lecture titled “From Contract to Status, in Quest for Security” remains the guiding light on employment contracts in Nigeria. 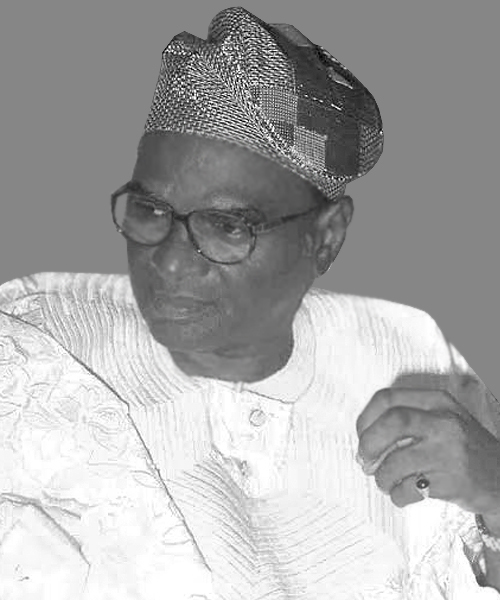 Following Anthony Adeogun’s retirement and subsequent passing in 2005, his son, Charles Ayodeji Adeogun, who hitherto had practiced law in Nigeria, England and Wales and for over a decade, had distinguished himself as lead counsel on the international legal circuit following a successful career within the United Nations Organisation, building on his robust international experience and the legacy left by his late father, re-registered the practice as Charles Anthony Lawyers in 2007 and subsequently as a limited liability partnership. In establishing Charles Anthony as one of Nigeria’s compact-sized independent law firms, our founder’s primary goal was to ensure that the new firm was able to draw on the strong traditional, professional and academic values left by his father, yet achieving the reputation of being one of the country’s most dynamic, capable of meeting the challenges of a world in constant evolution. Copyright © Charles Anthony Law LLC. All Rights Reserved.